Completed 2007. 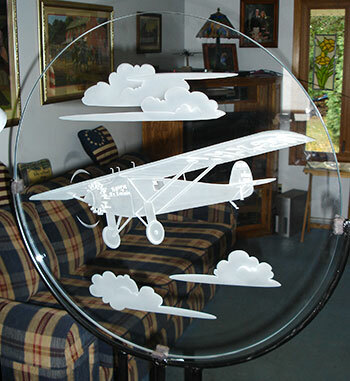 The design was ‘sand-carved’ on special 1/2″ Starfire glass. This display unit includes a custom-made 4-foot metal stand.